Writing my family’s story, from my perspective, I realized that I jumped ahead some. For sure I should have put something about what my grandparents meant to me as well as their influence which was considerable and atavistic. If you have already read Part One/Two/Three you know that I was born lucky! 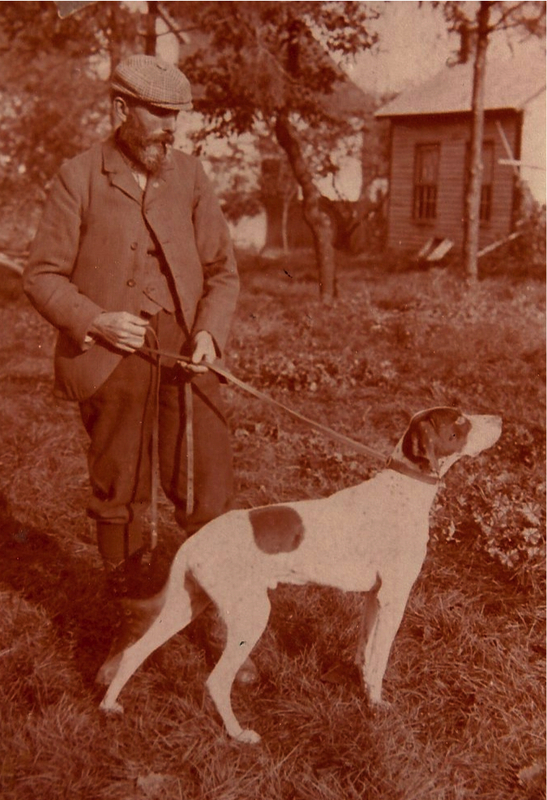 My ancestry has a pedigree akin to a mongrel dog but some stalwarts emerged along the way. In this part I not only want to honor my grandparents, parents and siblings, I hope to recognize my cousins along with nieces and nephews. Of course my son’s favorite mother, Cheryl, has her own amazing story. My father’s parents were John Jackson Walker and Martha VanHook Mayfield. My father’s parents were not the communicators my Mom’s side was. My Dad was on par with his father in this arena. The fewer words, the better. Granny Walker was a bit more talkative, but even she spoke little about her growing up in Lewiston, Illinois. Her father was a Christian Science minister. As a youngster when I would get into some trouble, as I was prone to do, Granny would always say, “Don’t worry about little Billy, he might just grow up to be a preacher!” Boy Howdy! Granddad Walker was raised on a farm near today’s Liberty, Missouri. His father, Maise, was a caucasian looking half Shoshone Indian. The Walker farm was next door to the Zerelda James farm. Zerelda Elizabeth Cole James Simms Samuel was the mother of Frank James and Jesse James. The James’ were related to the Younger Gang by virtue of Zerelda’s marriage to Jesse and Frank James father. Maise Walker’s brother, Andy, rode with the James gang. My grandfather apparently had a falling-out with his father. What ever it was died with Granddad. There were several topics that were not open to discussion. The rift with Great Granddad, the loss of my Dad’s little sister and that of the baby brother. Granddad headed west as a young man and became a gold miner in the Cripple Creek, Colorado mining district in the shadow of Pike’s Peak. A big sturdy six foot three inch tall – two hundred fifty four pound “Big John” Walker became an “High Grader.” When I learned this I was impressed thinking it meant he was able to come up with a higher grade of gold ore. Well, I was off the mark a bit on my surmise. A “High Grader” is not what he later wanted to be remembered as. 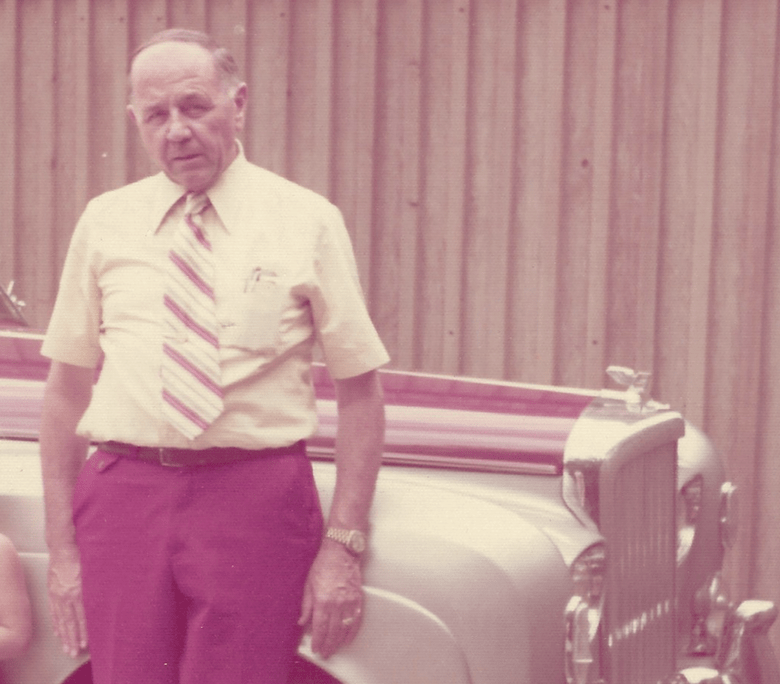 His value system came later in life and, likely, through the influence of my grandmother, “Granny.” I grew up knowing a strong value system from my parents and grand parents. So, it was of some shock and dismay learning Granddad had been a thief! Up on the side of Pike’s Peak, at the Cripple Creek diggin’s, Granddad drove an ore wagon from the mine to the stamp mill. He would pile a number of high-grade ore chunks behind his seat. Along the way, he and an accomplice would stage a rock fight. The accomplice would take the valuable ore pieces and, later, they would split the take! Ohhhhhhhhhhh Myyyy! Before they became “Granddad and Granny” my grandparents met and soon after married. Their wedding day was November 24th, 1904. A year later, my Dad’s oldest sibling, John Henry “Jack” Walker was born in a tar-paper shack on the side of the mountain near Cripple Creek’s mining district. Within a year of uncle Jack’s arrival a fire would consume most all these meager dwellings. Thru Granny, the fire, and Granddad’s newfound wealth, the little family’s activity changed as did their livelihood. Granddad bought a farm between LaSalle and Kersey along the South Platte River south of Greeley, Colorado. 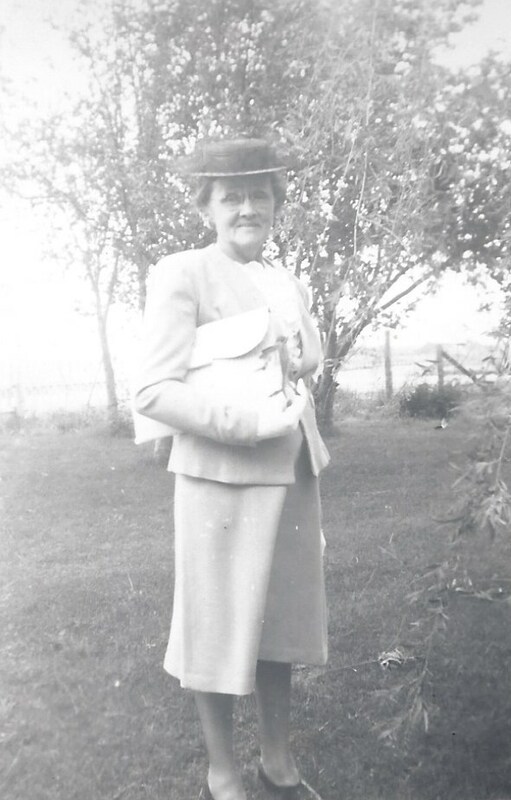 Our Grandmother, Grannie Walker, was Martha Mayfield before she married John J. Walker. Grannie’s parents were Alice Van Hook and J. B. Mayfield. Great Grandma was Martha George Thompson and our Great GPa was William Wallace Van Hook. Pic was named after his Grandfather, William Wallace Van Hook. Therefore, we are the descendants of Van Hook. Guess what, the real name was Van Hoeck. Cornelius Van Hook had all the info on everyone. He was 83 in 1890 and probably all that is lost. In 1632 Robert Issac Van Hook who was really Van Hoeck was the Burgameister General of Holland. And his descendants (Lawrence Van Hook) and others emigrated to New Amsterdam. Issac died in 1724. Lawrence Van Hook married Johanna Hendrix in 1692. She died in 1695. Johanna was their child. Then Lawrence married Johanna Smith. After Johanna Smith Van Hook had 9 children, she died. One of Johanna Smith Van Hook’s children (Lawrence was the husband, father) was Samuel. In 1780 – date unknown, Samuel was taken prisoner by the Indians and Canadians and was kept as prisoner for 4 years and 6 months until he escaped and fled to Kentucky. Samuel married Hannah Williams who was a widow ; her husband was killed by the Indians. Samuel lived to be an old man — he had 8 children. His son, Thomas, was the father of William Wallace Van Hook – our Grannie’s daddy —- Samuel married Mary Davis – they had six children and our Great GPa died when he was 35 years old. After fathering six children. William Wallace Van Hook was born near Crab Orchard, KY on November 25, 1810. He married Martha George Thompson, daughter of Archer Thompson and Martha George on February 14, 1833. William Wallace Van Hook and wife Martha moved to Charleston, Indiana. William Wallace Van Hook was a merchant and deacon and elder in the Christian Church for 50 years. William died in 1882. Their daughter was Alice Van Hook who married J. B. Mayfield. Their daughter was our beautiful Grannie Walker, Martha Mayfield Walker. Lawrence, his son married Johanna Smith. Lawrence and Johanna had Samuel Van Hook who married Hannah Williams. Hannah and Samuel had Thomas Van Hook who married Mary Davis. 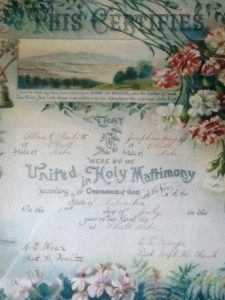 Mary and Thomas had William Wallace Van Hook who married Martha George Thompson who had Alice Van Hook who married J.B. Mayfield who had Martha Mayfield who married John J. Walker, our GPa. Here’s what is really cool . . . . .From the old Dutch Church in New Amsterdam (now NYC) it appears that our ancestor Samuel Van Hook was with Daniel Boone when Boone started on his second trip to Kentucky. Granddad became a successful farmer. Having been raised on a Missouri farm, he had a basic knowledge of farming. By the time his life was over, he had mastered the art of growing sweet corn that was arguably the best in the world. 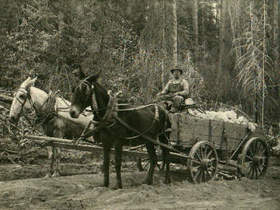 Granddad grew other things besides corn, but it was his sweet corn that made him locally famous. I remember some GREAT corn eatin’ contests. My mouth waters with the recall. It was so good there were other local farmers vying for his seed stock. Greeley farmer, Bud Straight, ended up buying the “recipe” from my Uncle Bob after Granddad died and the Bob Walker family moved to Brush where Uncle Bob developed the Livestock Exchange. Brush is NE of Greeley. Interstate 80 traffic flows just to the north of Brush. The Union Pacific railway parallels this and both are along the wagon tracks of the early Colorado immigrants. Most of what we learned of our Walker heritage came from Aunt Virginia. She was the second child born to Granddad and Granny. She was one of two girls among the eight children. One son died in infancy and a daughter from diphtheria at age six. Aunt Virginia was terrific. Everyone loved her. 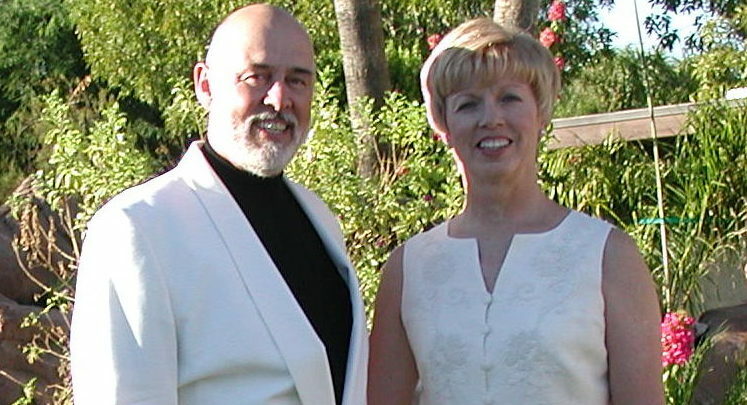 She married a pilot, C. Lee Osborn who later flew for Inland Airlines and, thru merger, Western Air Lines. Granddad was never impressed with Uncle Lee but I was. He was an aviator. If one was an aviator then you were, in my view, on the top rung of the ladder. Uncle Lee was more nervous than a protestant prostitute in a Catholic church! I had trouble understanding how some one so outwardly nervous could become an airline captain. I mentioned this to Captain Billy Spear, chief pilot for Western. Prior to Western, Captain Spear had been with Inland Airlines and during WWII had been a chief pilot for my father at Plains Airways. My father once said that Billy Spear was the smoothest he ever saw at the controls. Captain Spear said, “Your uncle Lee is a different person in the cockpit. In fact, he is one of the best pilots I’ve ever flown with!” Uncle Lee retired as a senior line captain flying the Douglas DC-6B. Another great feature about my uncle Lee was that he was a fly-fisherman. On the second rung of the ladder-of-life, just below aviators, are the fly-fishermen! Uncle Lee tied his own flies. Do you know what a Dowser is? A Water Witcher? Well my Uncle Lee was one, and he did very well with his unusual talent. I would not have believed this possible had I not been there to actually witness his success a number of times. Granddad didn’t credit Uncle Lee fairly in my book. Uncle Lee was outwardly nervous, but he was multi-talented and his interests were far reaching. Uncle Lee had a forked stick, called a diving-rod, that he would hold a certain way so that the end of the “Y” would be pointing outward at a certain pre-determined angle. As Unc slowly walked in a predetermined direction the end of the “Y” would move down and there would be water or minerals there! Amazing. 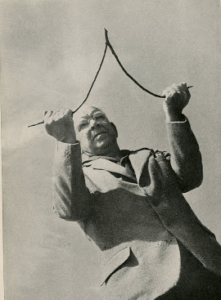 Some ascribe to the dowsing phenomena, others believe it is possible, and some think it is a hoax. Yet, there are a surprising number of individuals with advanced degrees who practice the dowsing craft. Several are physicists who have written much of this obtuse method of finding water and/or minerals. Above, physicist Henry Gross demonstrates the proper technique. Uncle Lee found several gold and silver locations flying over a prospective area. He’d be on autopilot or have his co-pilot steer the Western DC-6B on a certain heading and “VIOLA!” He would see the Dowser end point down. He would mark the location on his map and later file a claim. He had several of these located as such. Likely, Western Airlines would have taken a very dim view of this being done on a revenue flight. Uncle Lee must have been an extraordinarily good pilot. One day, he and his co-pilot neglected to properly check the flight controls. 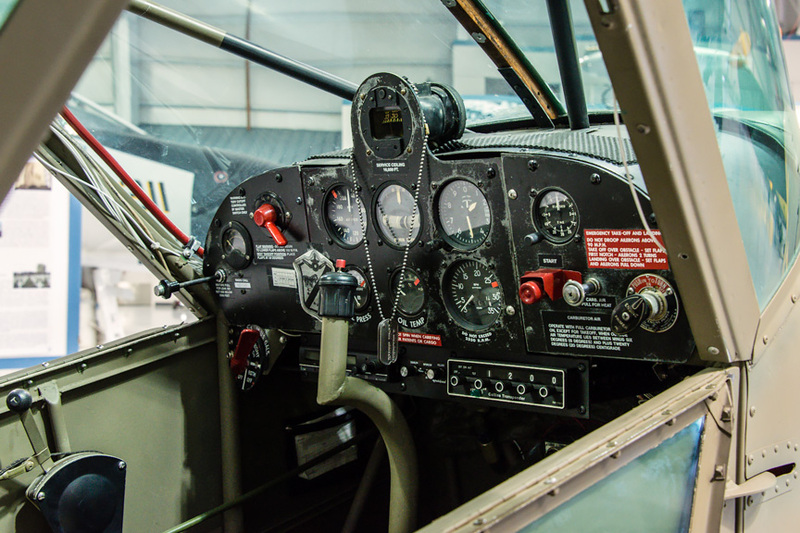 He took off with all the controls LOCKED on the Western DC-3! Ordinarily this would have resulted in a horrific and fatal crash. He quickly assessed his grave situation and adroitly used the trim tabs (in reverse order) and engine power to maneuver the DC-3 around the field back for a landing. In the ensuing hearing where he would quite likely be terminated, he was admonished for his failure to follow policy and procedures and given two weeks off without pay. Then he was celebrated for his extraordinary airmanship! With Lee and Virginia long since departed I’ve not mentioned either story until now. However, both stories are a matter of record! Lee and Virginia had one child. Their son Jimmy Lee, is Gone West as well. Suffering from ill health his final few years, cousin Jimmy Lee, died in a Greeley nursing home just a few years ago. He was 78. Aunt Virginia was the best one in the family to hand down oral history. 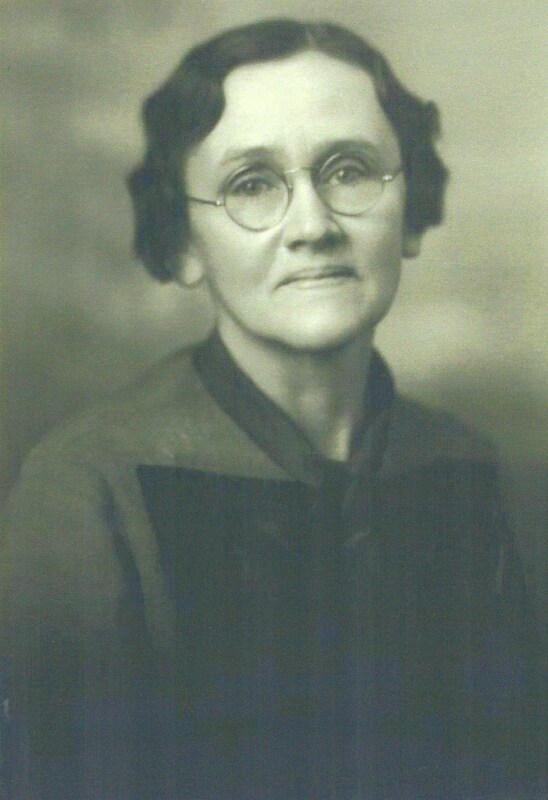 It was she who told us about the great trailblazer, Joseph Rutherford Walker. An entirely separate portion of my website is about this unusual energetic leader of men. Even Bob’s son, Johnny, is an active historian and, like Uncle Lee, a prospector. Johnny and his wife, Laurie, own Clear Creek Prospecting Supply in Northglen, Colorado. 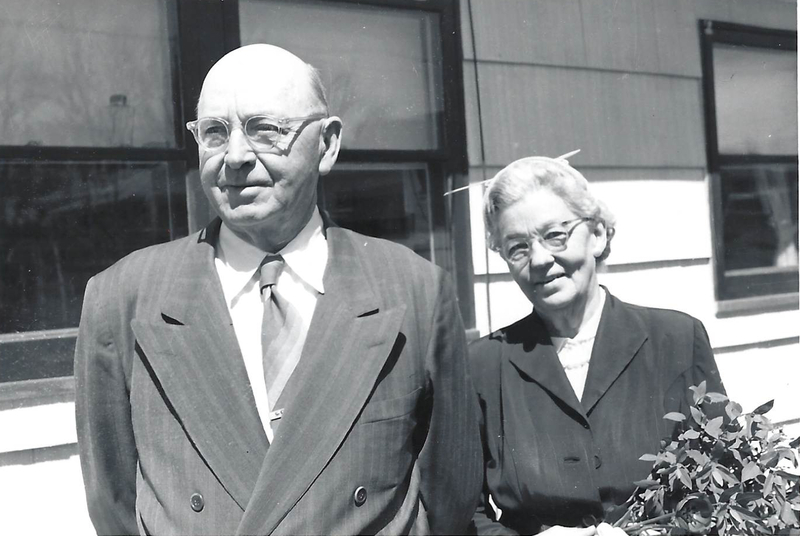 My mother’s parents were Allan Preston Nesbitt (1886 – 1962) and Josephine Howe (1887 – 1979). They were never formally introduced, but when Allan slowed his horse and buggy to ask one of the Howe girls if she would like to ride from the skating pond to her home, Josephine accepted and laughed at his southern accent. Allan had lived in Tupelo, Mississippi for his first nineteen years and although he eventually lost the accent, he always had a soft speech and said “cam” for calm, “a-mond” for almond. Following graduation from a business school in a small town near O’Neill, Nebraska, where he lived with his parents and adopted sister, Minnie, Allan was employed by the Birmingham Lumber Yard. Josephine had attended Nebraska Wesleyan at Lincoln and was “the typewriter” for Judge Kincaid in O’Neill. This was the original designation for persons who typed; later they were called typists. Josie was a stenographer and/or secretary and retained her typing and shorthand skills all her life. 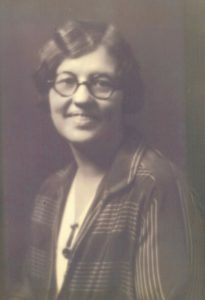 She lived in O’Neill with her parents, Frances and Carlos Howe, and her sisters, Edna and Mary. Allan and Josephine were married July 3, 1911, in the new home they built on Hancock Street. Rev. 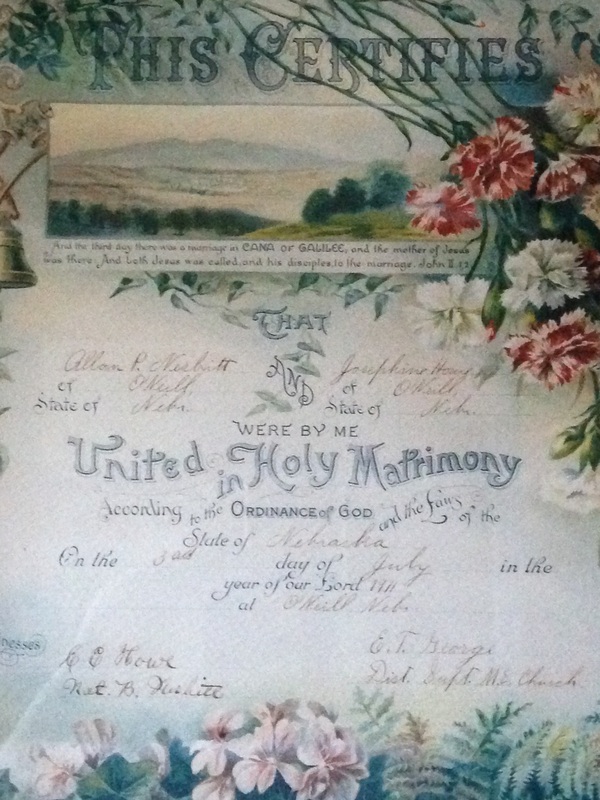 E. T. George of the Methodist Episcopal Church performed the ceremony and the fathers of the couple signed the marriage certificate as witnesses. Their first child was born October 26, 1913, and named for Josie’s two grandmothers – Frances Emily. 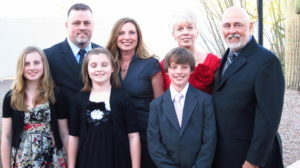 Thirteen months later, the Allan Nesbitt’s and their friends the Goodmans moved to Riverton, Wyoming, where Allan managed the second Birmingham Lumber Yard. They lived in a small rented house until their own was built and welcomed sons Allan Preston “Bud” Jr. on February 21, 1916, and George Gibson “Gib” on October 30, 1917. They acquired their first car in Riverton and Allan learned to drive by trial and error – – he had to drive out in the country to turn around because he hadn’t been shown the reverse gear, and drove into a pile of lumber because he didn’t know how to stop. Early in 1918 they moved to Casper, Natrona County, in Wyoming, and another new lumber yard. There was a housing shortage in Casper so Allan literally lived at the yard while he built a new frame home and Josephine, the three children, friends Mrs. Weeks and Mrs. Hunt went by train to Los Angeles. There she rented a house next door to her half sister, Alice Turner Evans, Manley and their son Robley. Sister Edna Howe Barnes lived near. Josephine bought a touring car and they enjoyed many sightseeing trips. They stayed in California about six months until the Casper house at 628 East 11th Street was finished. During the building, Allan did much of the work himself and had his first confrontation with the union. As a result, during a lifetime of contracting he employed independent craftsmen. The new house soon proved to be too small as Allan’s widowed mother came to live with the family and Jo’s sister Mary and two children came for an extended visit. The 1918 flu epidemic struck while they were there and the Nesbitt living room became an infirmary with Jo as nurse, cook, maid of all work, although she herself was sick. The problem of the too small house was solved by raising the roof. Three bedrooms, a den, sleeping porch, and bath comprised the second floor. The first floor was remodeled to include large living room, dining room, kitchen, and a 2-room apartment with Murphy bed for Grandma. Fireplaces were built in the living room and upstairs den. They were of red brick the same as the exterior veneer. Floors were hardwood, woodwork was mahogany, bookcases and china cabinets were built in. There were new rugs and furniture and all the parchment lampshades on chandeliers and wall sconces were hand painted by Aunt Edna — peacocks in the living room, butterflies in the dining room. There was an upright piano, a victrola with 80 records, and one of Casper’s first radios — an Atwater Kent with earphones. The basement laundry room included a mangle, powered by electricity, heated by natural gas. A Star touring car and a Model T Ford coupe provided transportation. 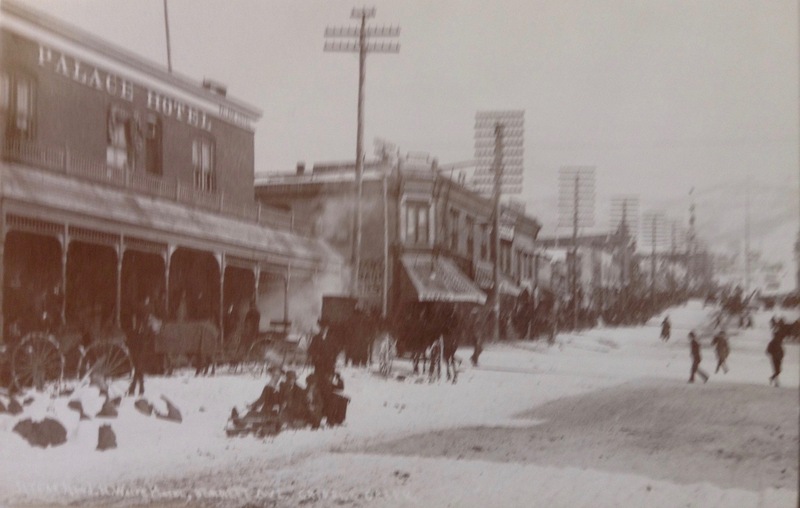 Casper was a boom town. 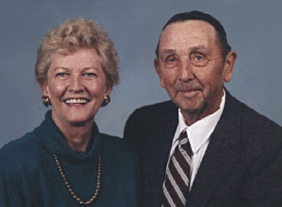 Allan and Jo were part of it, progressing from lumber to building (including 30 look-alike houses on two streets in east Casper) to real estate and insurance. 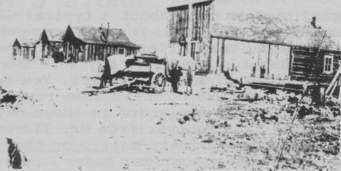 The business letterheads boasted “the squarest city in the squarest county in the squarest state in the union.” Allan was aggressive, adventuresome — a subdivision was successfully developed in Cody, but an oil well drilled at Salt Creek produced only water. Moving from the big house on 11th Street to a tract of land which they were developing north of Casper seemed more an exciting adventure than an aftermath of the crash. An attractive, serviceable house was built around the shells of three tiny houses moved to the site. A well and windmill provided water, a Delco plant furnished electricity, wood-burning ranges were installed in kitchen and Grandma’s apartment. When electricity failed, kerosene and gas lamps were used. There was a sizable garden, chickens, goats and a horse. 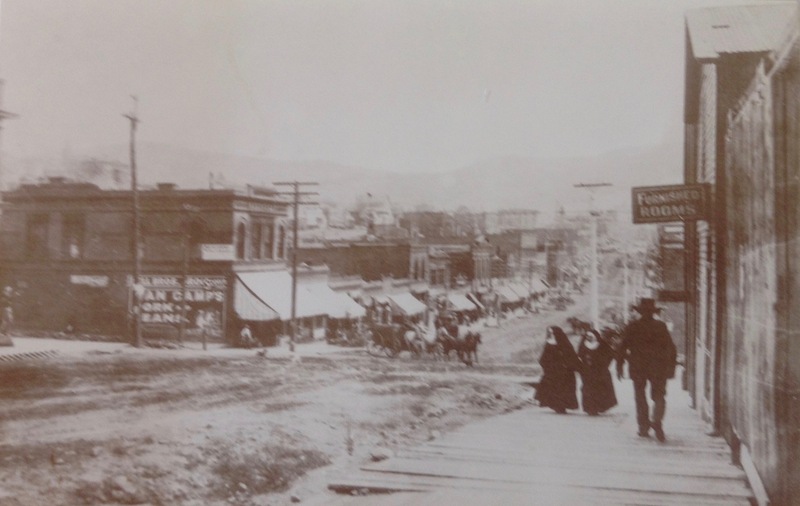 Allan was away a good deal trying to recoup the family fortune with a development somewhere in the northwest and later with a gold mine near Idaho Springs, Colorado. Frances went off to the University of Denver and Jo and the boys and Grandma coped with rural living until it became clear that the subdivision was not going to make it. They moved back to town to a small house on Bonnie Brae, thence to one of the look-alike houses they had built on McKinley Street. All this time Jo worked in the office and juggled responsibilities of business, family, church, and the Business & Professional Women’s Club. The boys worked in the gold mine a summer or two but all anyone ever got out of it was experience. Bankruptcy was inevitable but to their everlasting credit, Allan and Jo eventually paid back every cent they owed 100¢ on the dollar! The depression which was responsible for their financial downfall also provided a new job, career and security. Allan, highly qualified and experienced, was named state appraiser for the Federal Housing Administration, a position he held until he retired in 1952. 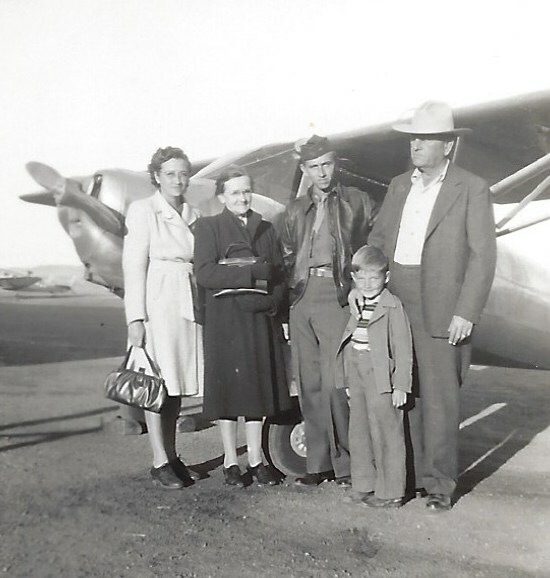 The family moved to Cheyenne early in 1935. Allan had gone on ahead so the move was made by Josie, Frances (now graduated from D.U. ), Grandma, and her canary in a cage. Bud, housed in a dorm, was a freshman at Colorado School of Mines. Gib remained with friends in Casper to complete high school. Allan never believed in renting, so after a few months in a small red brick house on east 28th Street they bought a light brick home with a big yard and garden space at 1223 Richardson Court. They lived there until after Allan Jr. graduated from the Colorado School of Mines and Gibson from Iowa State University, until after all three children were married, until after Grandma’s death. Their next move was to a small white frame house nearby and then to a beautiful new red brick home which they built on Foyer Street in a new part of Cheyenne. They were barely settled when they were transferred to Las Vegas where they lived for the duration of the war. The trailer they bought in Cheyenne and took with them was home for a long time and soon after they moved into a real house, Allan was transferred back. Josie spent many volunteer hours at the Red Cross in Las Vegas. Back in Cheyenne they lived with Frances and her family while they built a new frame home on west Second Street. This home also had a large yard with garden and strawberry patch. An apartment was finished in the basement and rented. I remember being a small boy “helping” Gramps plant a tree. A couple of years I went by to see this seventy-year old tree. It is still thriving. During this period Jo served as secretary of the Girl Scout office, a part-time paid job. When A. P. retired from his government position in 1952 they moved to Littleton, Colorado, where Gibson and his family lived. In fact they built and occupied a home next door and for the next five or six years engaged, with Gib, in home building in the area. They did some traveling — a lovely trip to Alaska when Allan Jr. and family were stationed in Anchorage, and a lengthy trip through the south. They travelled by bus during the day and were able to make stop-overs where and when they pleased. An especially meaningful stop was at Tupelo, Mississippi, where Allan had grown up. To Josie these trips must have seemed much more like real vacations than the camping/fishing trips the family used to take when the children were small. The memory of one such trip lingers. —two families: four adults, six children including twin babies, ONE touring car. It was also during the Littleton period that A.P. suffered a heart attack. After a period in the hospital, his first, he recovered but his activities after that were somewhat curtailed. In 1958, at the same time that Frances and family moved to Arizona, they moved too, intending to divide the year between their home in Littleton and a small one they bought at 2832 E. Mulberry Street, Phoenix. However, after two such round trips they decided to sell out in Littleton and make Phoenix their permanent home. On July 3, 1961, they celebrated their Golden Wedding Anniversary which proved to be their last as Allan died June 29, 1962. Later in that year Josie moved for the 19th and last time to a little casita in Villa Monterey, Scottsdale. 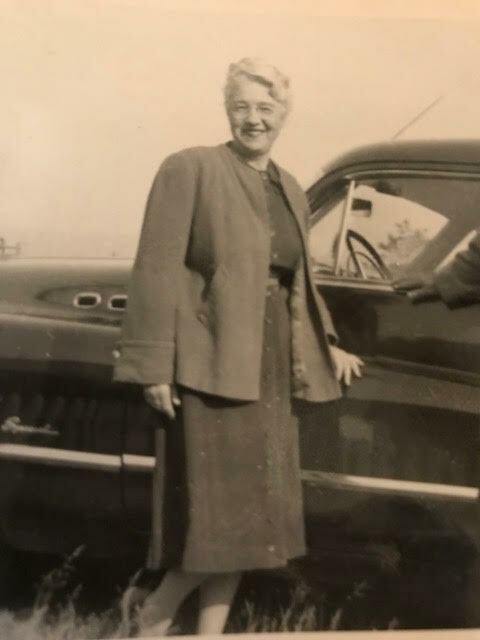 She lived alone and was completely independent except, after she sold her 1951 Plymouth in 1969, she needed transportation to church, the store, beauty shop, and P.E.O. 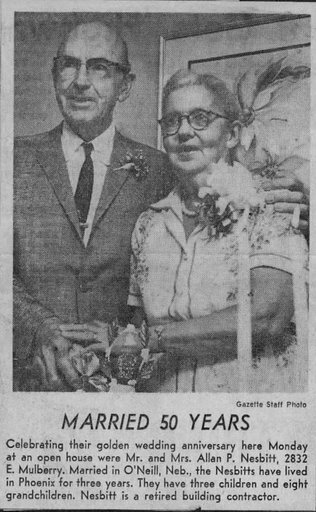 She escaped the Arizona heat each summer by flying to visit the Bud Nesbitt’s in Seattle and the Gib Nesbitt’s in Colorado and would be gone for six weeks to two months each time. Until her sister Edna’s death in 1972 in California they also exchanged visits. Josephine, the last leaf on her tree, died on her 92nd birthday. It was a sad day September 29, 1979. Each of my many visits to see Josie, I would thrive on the fascinating stories she would pull from that wonderful memory of hers. I asked her permission if I could record her telling some of these. I received a flat NO in response! I loved Josie so very much but never did understand her reluctance to let me record the all so marvelous stories of her time growing up in the still wild west. I surreptitiously tried to sneak a recording device under her couch. Somehow she sensed it’s presence and I never once succeeded in my desire to record her stories for posterity. A great loss as you can imagine after you read her story about The Soddy along with Josie’s recollections of the early days in Wyoming! Allan and Josephine built their lives as they built their many homes — strong and of quality material. They were sharing, caring people and no house was so small that it could not shelter a friend or a friend of a friend, sometimes for rather long periods of time. We who are following them are blessed with a rich heritage and happy memories. Nathaniel Nesbitt raised excellent German Shorthaired Pointers. He lived with AP and Josie in his later years and died in Riverton, Wyoming from asthma in 1915. He was seventy three. “Few people today can recall or even visualize the snug little house of the prairie states – the “soddy” in which many of the staunch pioneers lived until more permanent quarters could be constructed. In some parts of our country, it is true, we can now see humble dwellings similar to the sod houses of the late seventies and early eighties, but they are usually occupied by seasonal workers in our beet fields and on cotton plantations, with no romance attached to their coming or going. This is the true story of a young couple who with their own hands built a “soddy” on the sandy plains of Holt County, in north central Nebraska – the year, about 1881. 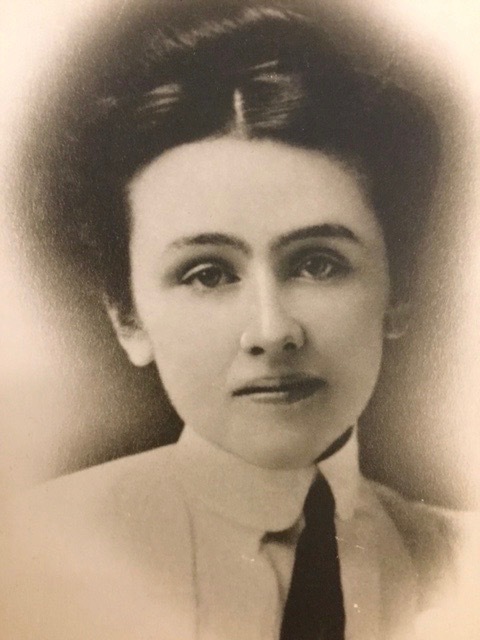 The young wife, mother of three small sons, and the young husband, -a graduate of Rush Medical College in Chicago, – fired with the enthusiasm of bringing medicines and healing to the scattered families who were slowly but surely making their way to the mid-western states. The little soddy was probably twenty feet, more or less, each way, – divided in the center by a curtain of 5cent calico – one room for the “living room”, the other, the sleeping quarters. “No locks had they to their doors, Nor bars to their windows” but the latchstring was always out, day or night, and the Doctor always on call – often to distant places over mere trails, then the long wearying ride home on horseback to the cozy soddy, with a pot of hot coffee brewing on the little stove, and the oven door open to “Let out the heat”. Neighbors from the original home of our young couple, (Whitewater, Walrath County, in southern Wisconsin) moved “out West” at the same time, – the two families, the Peter Greeley’s and the Doctor Turner’s, shipping household goods, a few cattle, pens of chickens and a few pigs in the same railroad freight car, which also included enough ready-cut lumber for the Greeleys to complete a dignified two-storied dwelling within a few hundred yards of the soddy. This big house stands there today though of course the soddy disappeared long, long ago. The countryside is now softened by many trees and grassy green fields, but in those days when it was bleak and forbidding and a challenge to all who dared to try to exist there, the people in the “big” house came often to the little soddy so they couldn’t hear the wind howl in the huge upstairs rooms, which were not finished until many years later. The “soddy” is now just a memory. It had its own glamour for this ambitious young couple, although our young folks of today, or most of them, would hold it great disdain, – and to me it’s a symbol of loving determination on the part of my Mother in her great desire to be a companion to her young doctor husband and an inspiration to her sons and the little daughter (Alice Jennie Turner) who was born in the soddy in 1882. Like the stillness of your soul becalmed by prayer? Like a benediction borne on perfumed air? From the pan set deep in sandy floor? Vie for crumbs and ground-up yellow corn? Hear them chirrup – – see them scratch in early morn? Watch it struggle, stretch and finally win the round? When he felt you meant no harm to him at all? Taking measured strides to get across the road? And wish he’d make a call at your abode? In the corner on the wall of old adobe? Seen in the shadows all the patterns that it weaves? Flaming red at tip of waving torch? You can see one if you come to our north porch. Spiny smoke-tree with it’s honeyed purple flowers? Yellow scale-broom, pancake, hedgehog – – all are ours! With so much clear, clean atmosphere at hand? With the desert and its charms not contraband? ‘Cause we don’t want a city on our sand! Nov. 1967 …more from Josie! That surely would have been the title of the book, had it been written! Actually is is a seven page, single-spaced letter that Jo wrote to Alice, Edna & Mary on Friday, October 15, 1954, Frances and Pic’s 16 wedding anniversary. Jo promised herself that when she returned from her trip to Holt County, NE she would send them all a ‘blow by blow account!’ She was glad she hadn’t promise to send them an account of every day since she got home! 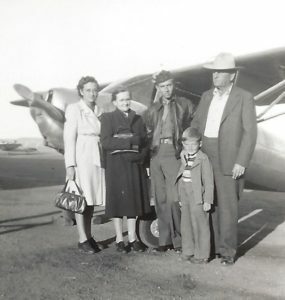 She had been home six weeks when she finally wrote the very detailed, wonderful, funny, explicit, genuine, descriptive, all-encompassing, account of a trip she had taken, leaving Cheyenne, WY at 7:30 a.m. on August 23, 1954 and driving 340 miles the first day. Her companion was Blanche! The saga does not lack for complete names of persons with whom she visited! Dropped in on some, called ahead for others, surprised folks who probably thought they would never see ‘the Howe girl who went back!’ Time spent with so many friends, and friends of friends, and in such a rush of a trip, would have to have been recorded as it happened, I would think. You would all agree, but we’ll never know! I gotta’ tell ya’ – she had all the names, ages, eye color, height and weight of some, the current health status and occupations of others. 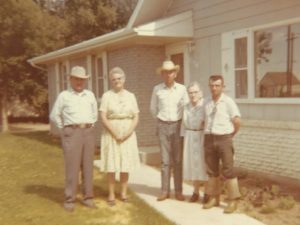 She knew how many children were born to this couple and that couple, whether those kids stayed in Holt County or left for good. She knew who was in high school and who had just joined the Navy. She knew which of those offspring had married and how old the babies of the next generation were. If she was looking for a house she thought should be there, she would find it — behind the the trees that had grown so big, you and I would not have even looked! Jo purchased dozens and dozens of eggs for 35 cents a dozen from Bertha — she was only getting 19 cents in O’Neill and chose to freeze them (per recipe) in her deep-freeze. Was Jo ever popular when she got home, as eggs were 55 cents and more. So, here is a granddaughter of Jo, who at 74 uncovered yet another family treasure! What would it have been like if she had found the tissue paper copy of this letter, written on business letterhead — West Coast Mills, Builders of Farwest Homes, 555 State Street, Chehalis, Washington. With a tiny little address of ‘1420 South Birch St., Denver 20, Colorado’ on the right hand side and ‘Gib Nesbitt, Factory Representative’ on the left, a few years sooner? Say about 40 years sooner? This little bank of knowledge with our Grammie Jo’s ‘thumbprint’ attached is ‘a keeper’ and will be shared with siblings, kids, and cousins! You have only to wait until I dig deeper into the chest to see what other treasures lurk! Walker’s were also on the Nesbitt side of the ledger! I recall a young man, Phillip Walker, visiting our home in Scottsdale. He was not from the Walker side, but rather the Nesbitt side of the family! He was a couple of years younger than myself. He had a strong interest in genealogy and was, as I recall, a Mormon. He wanted to visit with Josie and my Mom about our family history. After some lengthy conversations with Mom and Josie, he turned to my father and asked, “With our same last names, I’m wondering if there might be a connection there?” My Dad said, “Well, there was great uncle Andy Walker who rode with the Jesse James Gang, but he was hung.” Well, young Phillip Walker did not want to know more about “our” Walker Bunch! If Phillip hadn’t slammed the door shut then he might have learned of Joseph Rutherford Walker. Now there was a someone to really admire! Uncle Andy Walker: Rode with Jesse James, was a noted horseman and pistolier of his day. His tenure was shortened when he, along with two other gang members, were hung. However, I have not found anything beyond family lore to substantiate this story. One of the few stories Granddad told of his youth was, as a youngster, seeing his uncle Andy riding fast around an oak tree holding the reins of the horse in his mouth while emptying both pistols into the poor defenseless tree! He never missed! Apparently, there is a Time-Life photo of poor ol’ Andy hanging along with two other gang members. Those were rough men in tough times. The story following the Prologue is the Walker Bunch – Part 1. My parents and siblings story is there. For now I’d like to introduce you to some really terrific uncles. I had several on both my father’s side and mother’s side as well. In fact there was just one bad apple in all those uncles. I won’t need to speak about him, other than a we bit in the pejorative. 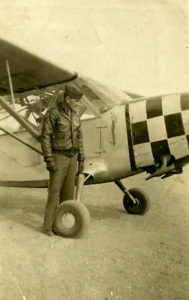 Uncle Jack, John Henry Walker (1905-1984), my Dad’s oldest brother, learned to fly in the late 20’s. His first airplane was a Wright J-6 powered Travel Air 4000. My dad called it a “Cornshucker” for the many times he had to land in some farmer’s corn field. Jack bought it with the money he made working in the gold mines SW of Denver in Central City and Black Hawk. I imagine my Granddad Walker, loaned him a few shekels as well. Later, he went to work for the Union Pacific Railroad in Cheyenne. 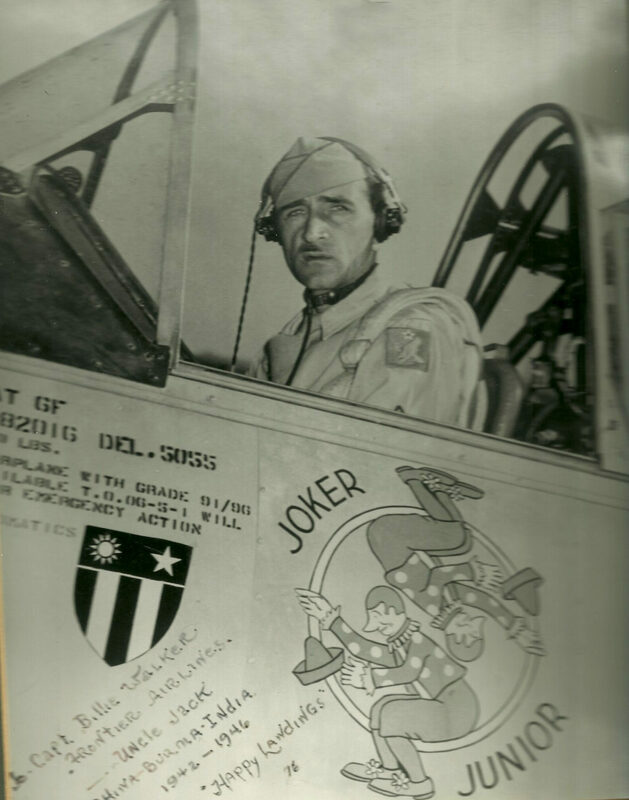 When WWII began for the US, he signed up and became a flying sergeant. He was a character whose mischievous ways knew no boundaries. I believe I mentioned that, while I loved the tales from his wilder days, I doubted that there was even a tiny element of truth. Turns out they were all true! Uncle Jack had told me a story of when he was in China-Burma-India during WWII. He had a close buddy, Teddy ?, and they would cook up some devilishness. This caused an immediate alert as a B-29 could not fly on one engine. Even the base commander was there searching the skies for this B-29 inbound down to one engine. Soon, the L-5 came put-putting and landed – and taxied to a distant revetment. 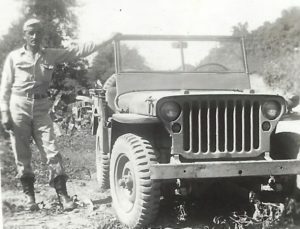 The pilot, Uncle Barnsmell, hopped out, climbed over the revetment into the clutter of foliage to the “stolen” jeep Teddy had waiting. Off they went with all the base MP’s in pursuit. They escaped! Years later, I regularly e-mailed with a long-time Frontier friend, Captain E.P. Lietz. He told me some great stories when he was with the Air Commando’s flying the ubiquitous Curtis C-46, a large transport powered by 2000 horse power Pratt & Whitney R-2800-51 engines. The C-46 looked like an inflated DC-3. It’s gross weight was nearly double the DC-3 at 48,000 pounds. The super-charged 2800’s would get the C-46 over the Himalayas much better than most transports albeit many were lost under some of the toughest flying conditions anywhere. E.P. would transport war material such as 55 gallon fuel drums into combat bases throughout the Pacific theater. Many of his flights were into China with Kunming one of his destinations. We were together, visiting in person, one day when he told this amazing story about an Army liaison airplane landing at Kunming when he was there delivering fuel for the B-29’s. He told the story nearly identically as Uncle Jack had! I must have had a look of incredulity because EP asked “why the look?” …I told him how I had heard this story before and had thought it to be a made-up story by my colorful uncle. I never disbelieved Uncle Jack again. He lived with us on our little trout ranch SW of Denver the last few years of his life. It was a memorable time for our family and his stories were seemingly endless! 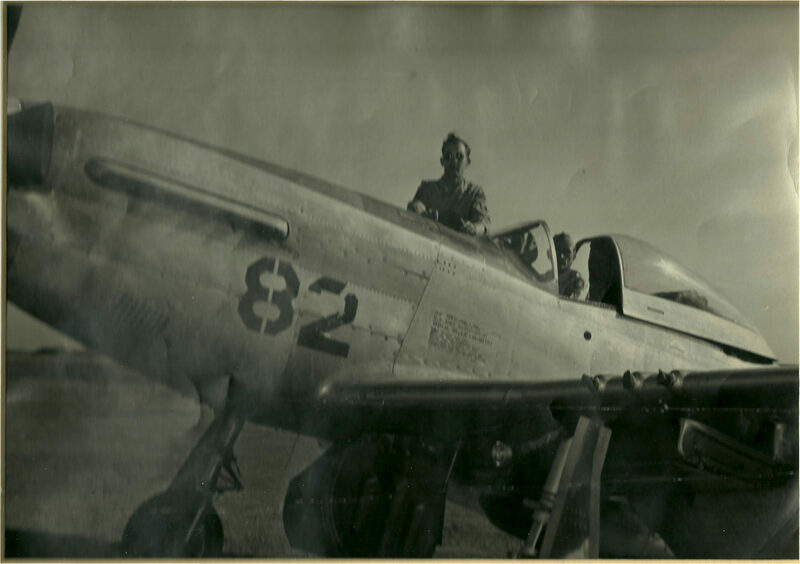 He had a goodly number of stories from his China-Burma-India WWII flying days. One, he talked about the Chinese Coolies running across the runway in front of a departing airplane. They had a superstition that the closer they could come the more bad spirits would be knocked from their back. What a set-up for ol’ Barnsmell! 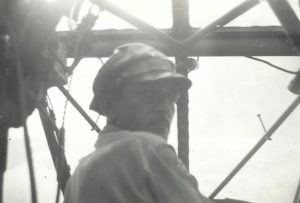 He talked about how he and other pilots would see how close they could come with the goal of removing the Chinese dǒulìs (what they called the conical hat common to the coolies. Ol’ Unc never owned up to actually hitting the human but claimed he was an “Ace” if dǒulìs counted! Unc flew a number of different aircraft types but the L-5 “Sentinel” is the one most listed in his log books and Form Five. He did the artwork and it fit him perfectly. He was a jokester! Me: “Yes you are, even if I have to hog-tie you and toss you in the car.” With the futility of his objections apparent, my ol’ uncle begrudgingly climbed aboard the car. Cheryl said it was the Uncle Jack and Billy show until he died a couple of years later from cancer. I miss him. 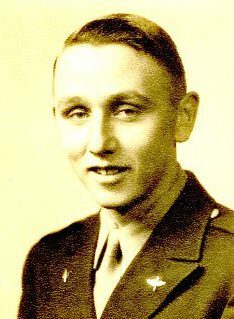 But, his stories live on… Below is a photo of SSGT J.H. Walker over the jungles of Burma. The photo was taken by none other than “Gen. Vinegar Joe” Stilwell. 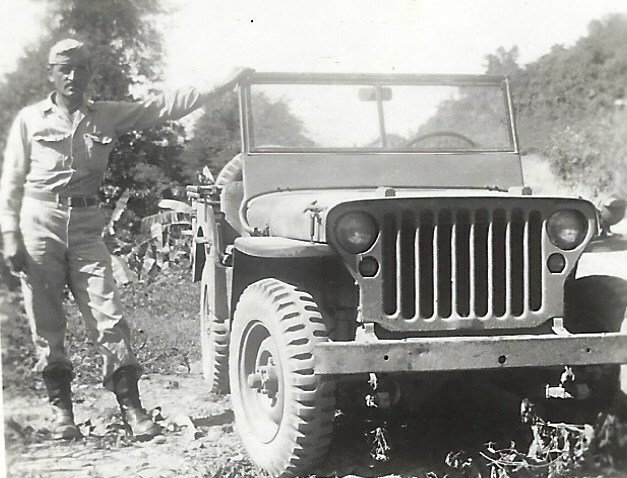 Uncle Jack flew the commanding general on several occasions to see first hand what the battle lines looked like. 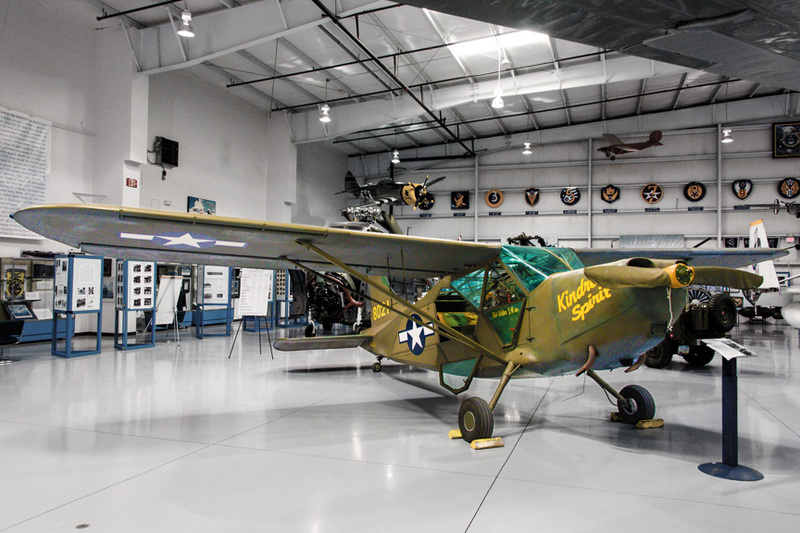 Note: The photos of the L-5 “Sentinel” at Airbase Arizona has Uncle Jack’s name on the side along with his story for the museum visitors. 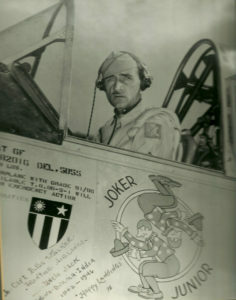 The dog tags hanging from the magnetic compass were Uncle Jack’s from WWII when he was deployed to China-Burma-India. 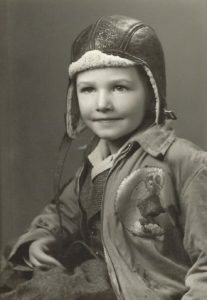 Army Air Corps Robert Donald “Bob” Walker (1925-2010), my Dad’s youngest brother, learned to fly at Plains Airways, Cheyenne, Wyoming. 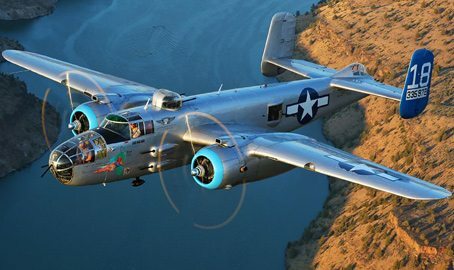 He went on to be a North American B-25 pilot in the Army Air Corps. After the war, he married and used the plans my father had drawn up for our home in Cheyenne. 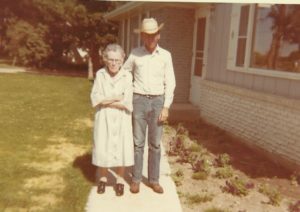 East of Greeley, and directly across the road from the Walker Farm, Bob built the same house for the lady who became my aunt Mary. Soon they had two sons, Johnny and Allen. Johnny is the only one left from this branch of the Walker Bunch. Bob took over my granddad Walker’s farm across the road and, later, built a larger home next door for Mary. Bob had a knack for building and soon built several spec-homes before developing and running Livestock Exchange in Brush Colorado. Bob died in 2010. Just before the great Blizzard of 1949 arrived, Uncle Bob put me in the cab of the semi he was driving to Chugwater, Wyoming north of Cheyenne. I was just seven or eight years old at the time. Uncle Bob had a load of Hereford Bulls to take to Johnny Pfiefer’s ranch. We headed out on what was hopefully a grand adventure with my Uncle. Just north of Cheyenne, a car came up fast behind us flashing it’s lights off and on. Since it was still daylight, Unc sensed a problem and pulled over. It was my Dad! He’d just received a weather report indicating that the coming snow storm was now expected to be beyond severe! Unc turned the semi around and we headed back to Cheyenne. Pop had Unc back the semi into one of Plains Airways hangars. We went to the feed store where plenty of hay was available the those ol’ bulls were getting royal treatment whereas the range cattle were about to receive the full brunt of a raging blizzard. Had we continued on, likely we’d have been one of the many casualties of that monster storm. All was not lost! We kids awoke the next morning to a house that had snow to the top of it’s roof! Soon, Unc and Pop had a cool tunnel out to where the snow wasn’t drifted so high. Soon after that all the neighborhood kids were clambering up to the top of our house then, gleefully, sliding on their sleds all the way down Capitol Avenue to the capitol grounds before trudging back for another run. Interestingly, my Mom and both of her brothers learned to fly. 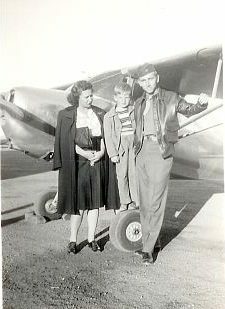 Middle child, A. P. “Bud” Nesbitt, Jr., obtained his private pilots certificate but never flew after that. 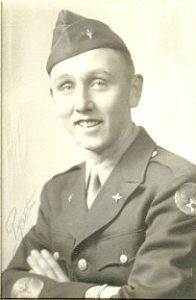 Bud saw service in the European Theater as a combat engineer. He was a career US Army Corps of Engineers officer retiring as a Lt. Colonel. Bud was a natural teacher. An engineer by profession, Bud had an abiding interest including geology, history, photography, etc. He could literally spell-bind with his knowledge. 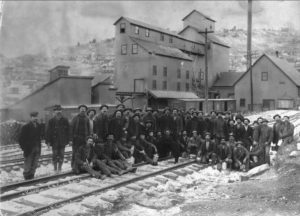 Bud graduated from the Colorado School of Mines in Golden, Colorado. Later, he would be Commandant of Cadets there. In his basement, he built a shooting range! He and my cousin, Allan (A.P. Nesbitt, III) would spend hours becoming expert marksmen. Bud & Ada, along with their children, Allan & Nancy, had a very adventurous life with bases and temporary duty stations world-wide. Every place they went Bud soaked up the geology and history of the area. “You wanna see a slide show? I’ll show you a slide show!” He’d quip. In retirement, Bud had a van rigged up with headsets for the passengers. He drive to places such as the Cascades and provide a guided tour to fascinating rock formations or Indian cultures, etc. Years later, son, Allan P. Nesbitt, III, became a USMC grunt in the jungles of Vietnam. He was a corporal in charge of a mortar squad. Allan returned and joined the US Navy where he became a pilot. 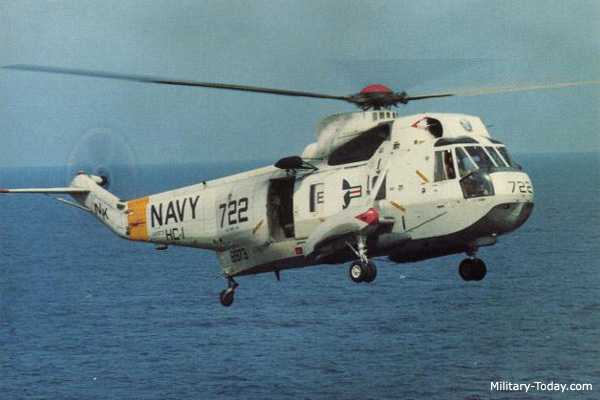 One of the chosen few, he was assigned as a T-28 instructor pilot before transferring to “helos.” Eventually, Allen became a CH-3 “Sea King” helicopter pilot. The Sea King is a huge helicopter similar to the “Jolly Green Giant” of the Vietnam era. Allan retired from the US Navy as a commander. Allan and Karen live in Kauai. Cousin Nancy was a homemaker and has lived mostly in Wisconsin although she and her husband have a “snow-bird” residence in Apache Junction, Arizona. Uncle Gib Nesbitt was a favorite. Gib was Mom’s youngest brother. With aviation exuding from both my father’s and mother’s side of the family. I was apparently influenced by both sides although my father encouraged me to pursue engineering in his attempt to steer me away from being a pilot. His view was that aviation wasn’t all that financially rewarding for pilots. Likely he was recalling the one hundred twenty five dollars per month Uncle Lee was paid early-on with Inland Airlines. There was some truth to Pops concerns. Frontier paid me just four hundred bucks per month when I started. After six months the pay jumped up to the astronomical amount of four hundred twenty five per month. After the first year the pay actually did go upwards appreciably. Still, I wasn’t there for the money. Lucky for me the pay and benefits were very good. Pop finally saw my airline pilot profession in a more positive light after he and Mom started using their non-revenue passes. When they came for a visit I picked them up in a very classy Rolls/Bentley and took them to our nice home in Aurora. Our home overlooked a nice park with tennis courts and an olympic sized pool. My laconic father, who was the epitome of rare speech, said, “Not bad!” My mother was more outwardly impressed. Later, in the 70’s, I flew my folks to our place in Jackson Hole in a very nice Aero Commander 680V turbo-prop. 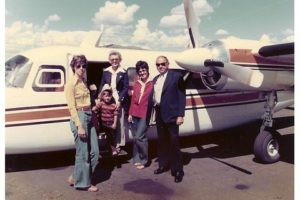 I was able to fly them and other family members in our Lear 24 as well. Lookin’ back I remember the glorious time flying and, somehow, have shoved all those worries about paying for it into the deep crevices of my mind. 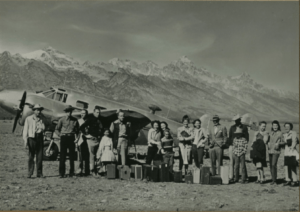 I took the above photo at the Jackson Hole Jet-Port where, a few years earlier, Pop landed the first twin-engine airplane at the graded sagebrush strip that would become my favorite stop when I was flying Frontier airliners. Gib met Lucy at Iowa State University, Ames, Iowa. Their love affair lasted until Gib’s death at age 69 from pulmonary issues along with heart failure. Gib and Lucy raised two sons and a daughter, Nora, the sole surviving member of this amazing family. Along with Gib’s enthusiasm went interests of a wide variety. The Nesbitt Bunch were always into one project after another. Gib and Lucy provided me with three outstanding cousins. Doug arrived first, then Harvey (Happy Harv) with Nora the caboose of this fascinating train. 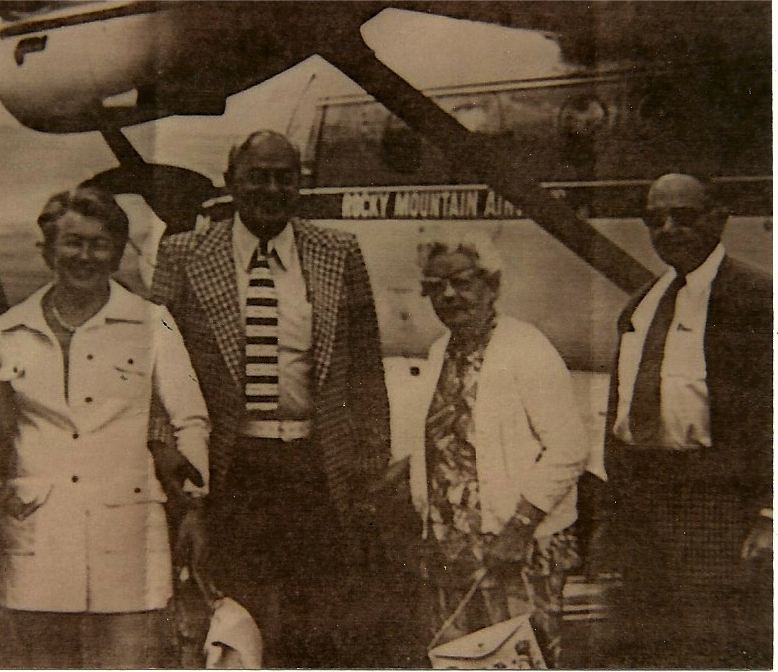 Gib was inducted into the Colorado Aviation Hall of Fame in 1990. I had the honor of joining Aunt Lucy in accepting this well deserved award bestowed on a great American. Gib had trained a large number of students to fly in the CPT program in Chickasaw, Oklahoma with Ray Wilson’s flight school. Gib and Lucy would remain life-long friends with Ray and Alverta Wilson. In fact, it was Gib who Ray offered the first pilot slot to for his new airline, Monarch Airways. Monarch would later merge with Challenger Airlines and Arizona Airways to become Frontier Airlines. 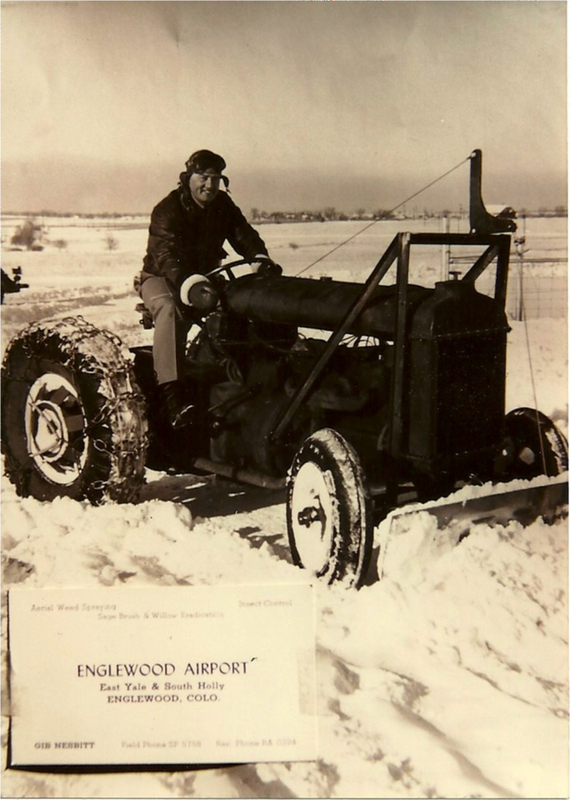 Gib had already become immersed in running the Englewood Airport and passed on the opportunity. Gib would later become a huge part of the success of Denver Wood Products. 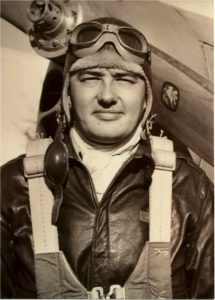 Gib became Vice President where he was in charge of operations and production. It was during this time-frame that Gib built some homes in Littleton with Grandpa AP. He built some cabins as well for his weekend get-a-ways. Then he acquired some mountain acreage on the south shore of Lake Granby. Here he built some magnificent homes including the Nesbitt retreat. Gib and Lucy called it “the cabin.” It was a large, comfortable double suited home with a millionaires view of Lake Granby and the Rocky Mountains. It is not only home to wonderful memories it is the place where the everlasting spirits and remains of the Nesbitt family remain. It is impossible for me to visit “the cabin” without sitting a spell an communing with family Gone West but not forgotten. 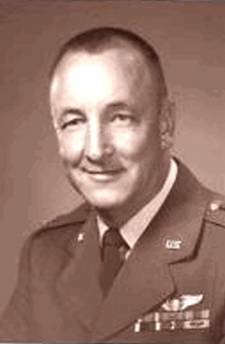 Allan Preston Nesbitt, “Uncle Bud” was a career army officer who had graduated from the Colorado School of Mines. He too had learned to fly, but never advanced beyond a Private Pilot Certificate. Bud had assignments all over the world in the Corps of Engineers. Lots of interesting projects with himself craving knowledge in other areas such as geology, archeology, paleontology, and other fascinating areas he’d seemingly be drawn to. Later in life, Bud became interested in genealogy. He researched the Nesbitt family from John Nesbitt (1795 – 1881) and Elizabeth Black (1799 – 1889) to include much of the genealogy of ancillary members such as the Walkers. 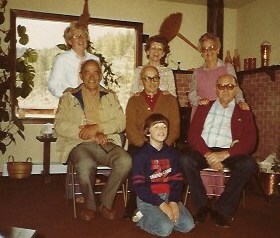 L-R: Lucy-Gib-Bud-Ada-Mom-Pop & Preston at our Pine Colorado ranch. Thanks to Bud, each of us were given our own personal genealogy from 1795 thru Matthew Walker Nesbitt born in 1974. It’s left to someone to pick up where Uncle Bud left off. Missing from the family tree are Nora’s marriage to Dean Stull and their two terrific daughters, Rebecca Lucile and Valerie Jo. Now Rebecca is married to Aaron who have made Dean and Nora grandparents. Valerie recently married Toby. They have already lived a life of excitement and wonder working with villagers in remote African hamlets. On the outskirts of Casper, Wyoming there is an airport (no longer in use) where it’s most prominent structure is a large pre-WWII hangar with the name “Wardwell Field” embossed above the large doorway. Wardwell Field was named in honor of Major Doyen P. Wardwell of Casper, a pioneer of aviation development in Casper and Wyoming. Wardwell spent his childhood in Ohio. 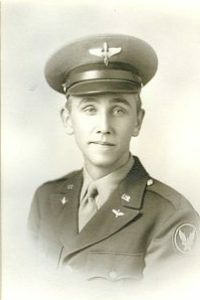 When World War I broke out he left Ohio University and became a pilot, completing his flying instruction at Wilbur Wright Field in Dayton, Ohio. 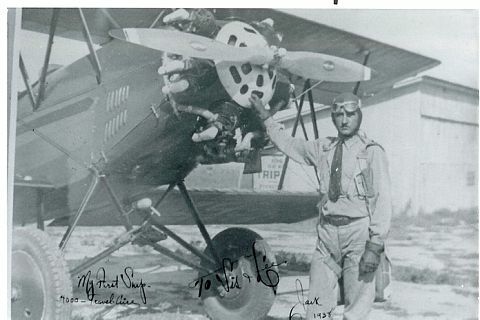 Wardwell then flew with the famed Lafayette Escadrille and the 103rd Aerial Squadron in World War I and held one of the longest American flying records for hours of flying during the conflict. 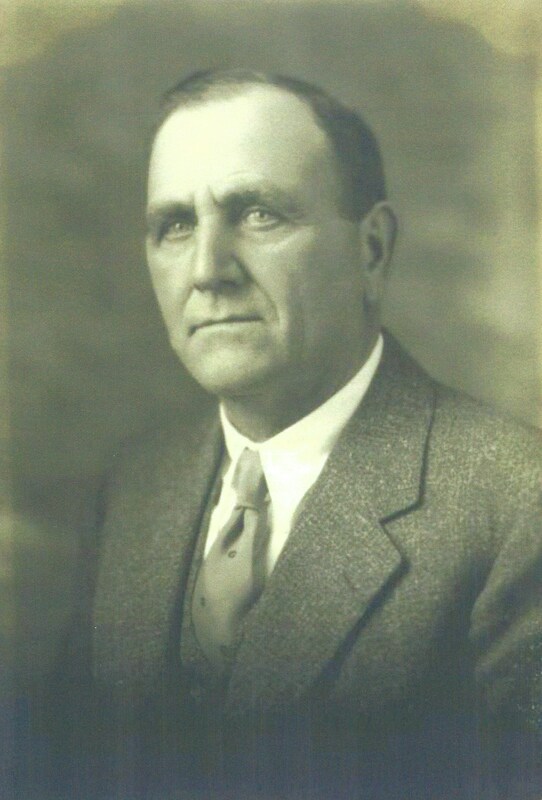 Wardwell came to Casper in 1925 as the deputy supervisor of the Mineral Leasing Division of the U.S. Geological Survey. He resigned that position to devote his energies full-time to promoting aviation in Wyoming. He served as the executive director of Wyoming Airways, Inc., until it was bought out by United Aviation of Chicago. Wardwell died in an airplane crash in Casper Aug. 8, 1929, with two passengers, Early Holtz and George Cameron, when the plane he was piloting went into a tailspin and crashed into the ground near the airport. Wardwell was 33 years old. 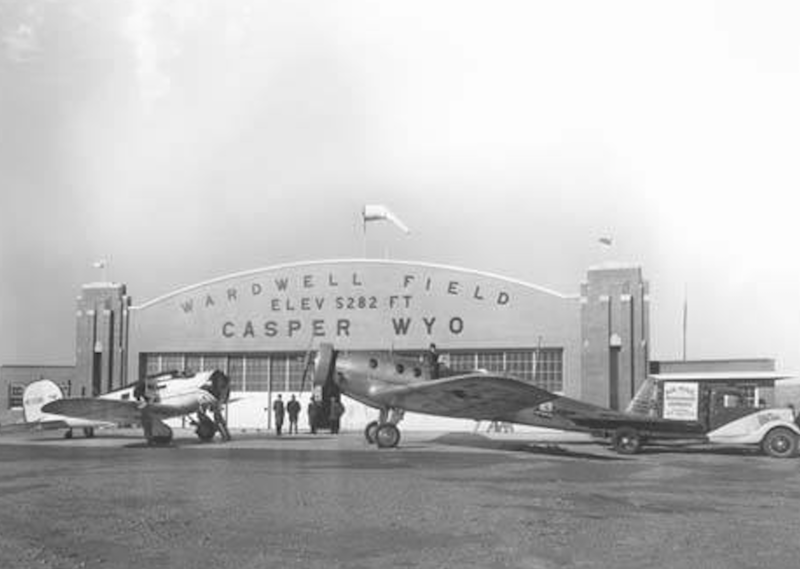 Casper Municipal Airport was officially rededicated as Wardwell Field in September 1930. Wardwell Field later closed with the airport relocating to the former Casper Army Air Base. Ronnie Nunn bought the land and started subdividing it. Wardwell Field is now the location of the town of Bar Nunn. Both Nesbitt boys were hunting rabbits when they saw this horrific crash. They would later become more oil/water than the inseparable youngsters trapping thru the wild country of Natrona County, Wyoming with their .22 rifles. Getting past their growing times of friction, Bud and Gib shared great family moments. Likely, Mom was the catalyst although, when they were alive, AP & Josie were the family center piece. I remember when Littleton, Colorado had a Nesbitt conclave! Next door to each other was the homes of AP & Josie and Gib and Lucy. Across the street was Bud and Ada. Lots of great memories visiting there with all the cousins at play. It can’t be nearly seven decades ago can it? Impossible! In my mind’s eye it is but five minutes ago.